Parking Details: Please park in back parking lot OR the First Student Canada parking next door to our building. There will also be staff onsite guiding you to available parking spots. 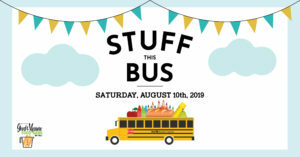 Stuff this Bus is a fundraising event where we park a school bus in front of our building and “stuff” it with donations of school supplies and non-perishable food items. This event aims to assist youth and families in need within Peel by providing them easy access to food as well as school supplies needed for a successful education. We want to ensure students are able to go to school prepared for a successful school year! This event features live music, food, games, sports, a bouncy castle and more to be announced! Check our our Facebook page for the latest announcements! Stuff this Bus 2017 Donations. 115 backpacks donated. 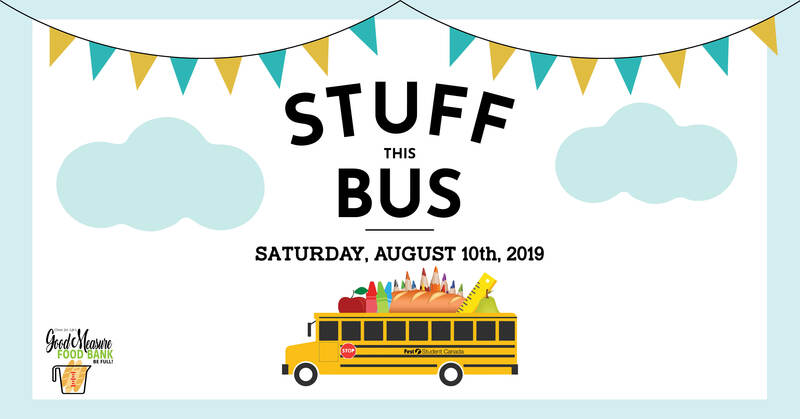 Backpacks, school supplies, and non-perishable food items can be donated at Christ for Life Ministries (3607 Wolfedale Road Mississauga, ON L5C 1V8) during our Hours of Operation OR you can donate it at the event right into our bus! Tax receipts will be issued! I Need Help. How can I receive donations? If you are in need of school supplies or food, please click here.